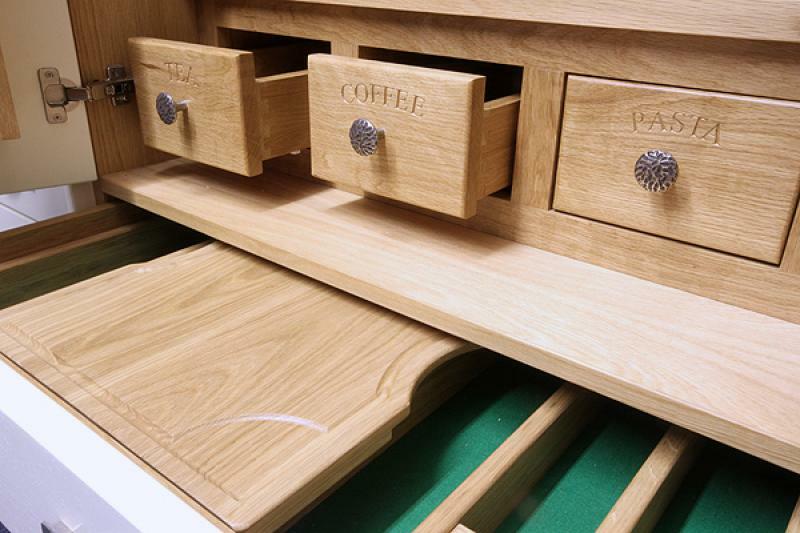 This sample shows three different layout of drawers, and also different wood finishes. 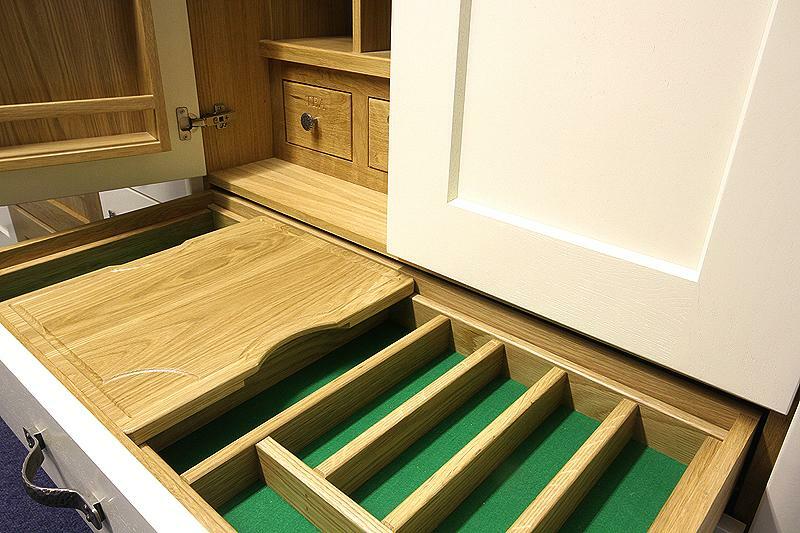 Pullout Cutlery Drawer with Chopping Board. 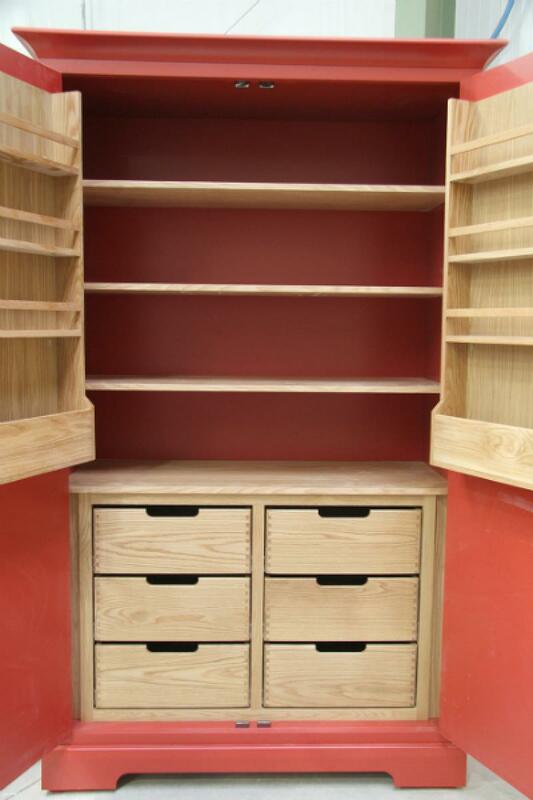 Also available in other timbers. Solid Oak Dovetail Spice drawers. 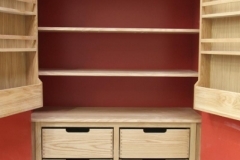 Also available in other timbers. 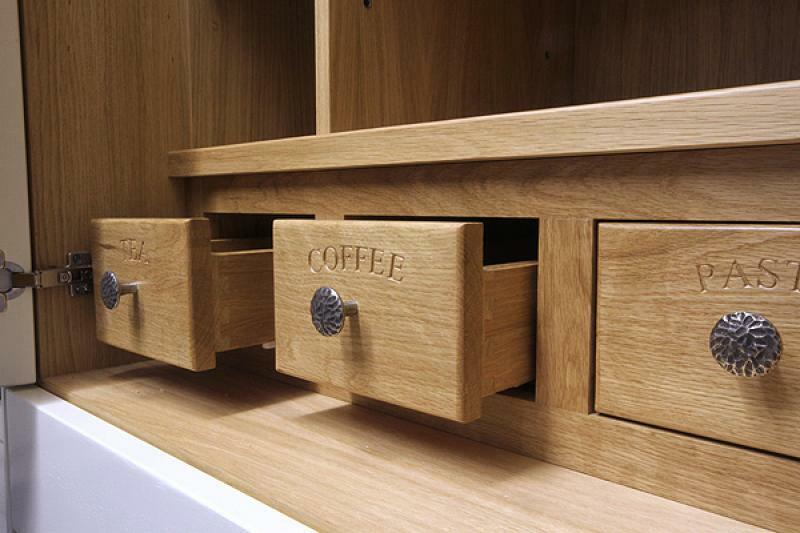 Engraving optional. 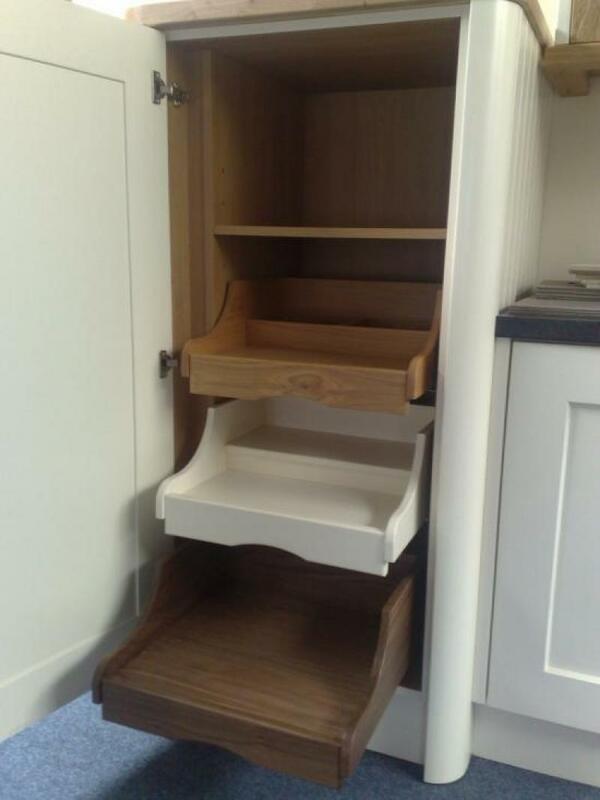 Larders can be shelved to suit your own requirements. Pullout Cutlery Drawer. 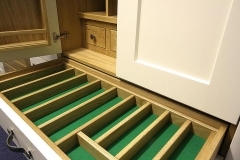 Also available in other timbers. 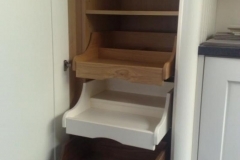 Oak Veneer Larder with Spice rack. 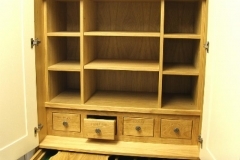 Also available in other timbers. 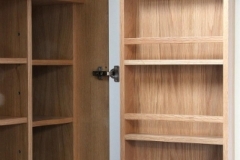 Larder exterior and doors manufactured using MDF and solid timber. 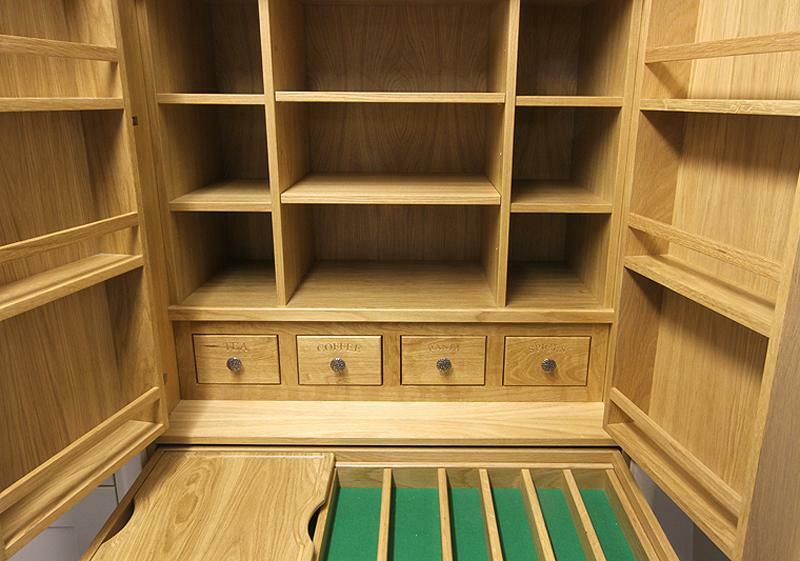 Interior solid oak dovetails with dovetails showing at front. 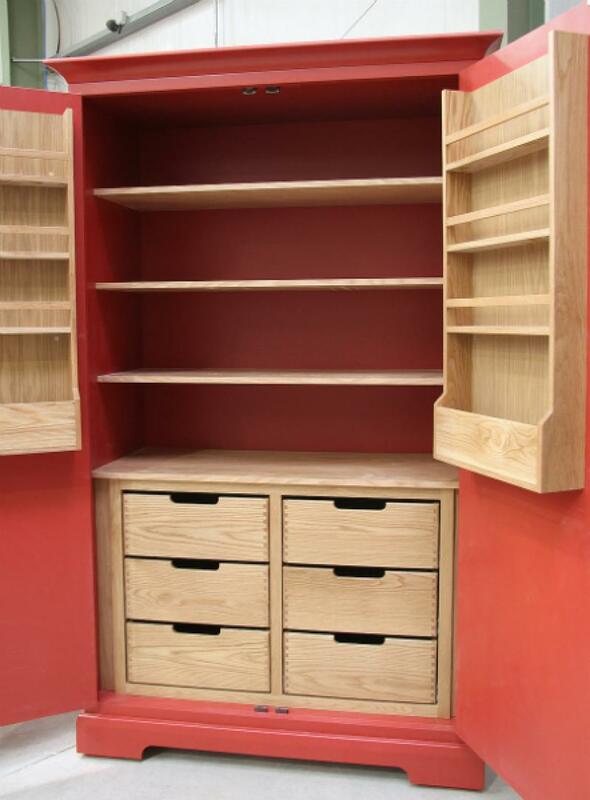 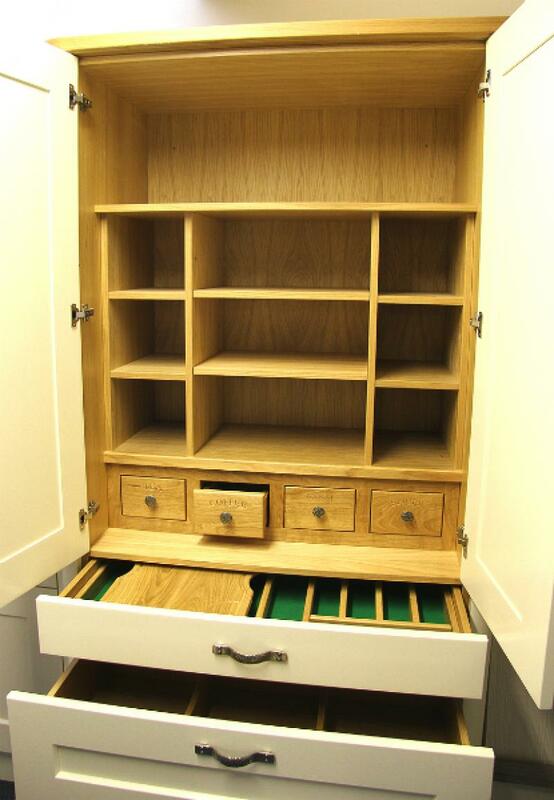 Spice racks (solid oak) on the inside of the doors to maximise storage space. 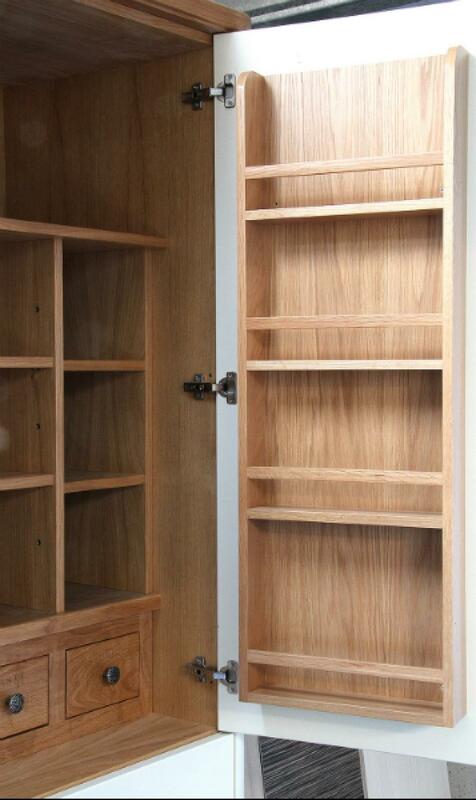 Larder exterior and doors manufactured using MDF and solid timber. 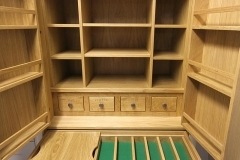 Interior solid oak dovetails with dovetails showing at front. 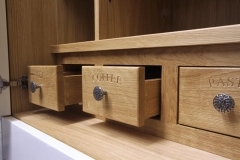 Spice racks (solid oak) on the inside of the doors to maximise storage space. 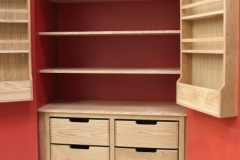 Centre Shelves curved to allow easier access.